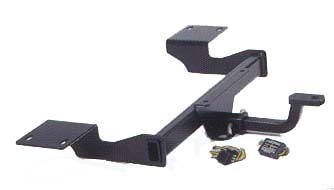 GM Accessories trailer hitches are built for convenience and long-lasting durability. A wide variety of hitch packages are available for use in numerous hauling applications for your GM. 5,000 lbs trailer weight / 600 lbs tounge weight. Weight distribution 12,000 lbs / 1,500 lbs.